Saif Siddiqui spent a little under Rs 14,000 on his appendicitis operation three years ago. The 35-year-old dentist from Bhubaneswar relied on an insurance cover for his family from Reliance General Insurance Company Ltd. He paid Rs 5,184 as premium for the policy. The surgery happened two months after he got the policy and Siddiqui filed the claim a week after the operation. The insurance agent promised a cheque at the earliest. When it did not arrive for several months, Siddiqui started making calls. The reply was always the same his claim was being processed. He visited the companys office. He was informed that his claim had been rejected because it was a case of a pre-existing disease. Arguments along the lines that appendicitis could not have pre-existed and that he was operated immediately after severe pain and fell on deaf ears. The agents though persuaded him to go for a fresh policy since his earlier policy had lapsed.Siddiqui bought it with the hope that he might still be able to recover the money he spent on his operation. 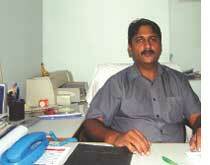 His clinic keeps him too busy to move the consumer court, or write persistently to the company. The company told the Down To Earth correspondent that it would not be able to provide any information because the case was old. Siddiqui does not want to renew or get into such a racket anymore. We get health insurance cover hoping it will be of help in difficult times. But such experiences shake ones faith in the system, he said, adding, he still gets calls from insurance agents at odd hours. More than 75 per cent of the insured get to hear about policies through insurance agents. According to the Insurance Regulatory and Development Authority, a Central autonomous body, insurance companies, public and private, reject 30 per cent of the health claims. Of this, 90 per cent are because of the pre-existing disease clause in policies, which agents do not reveal while marketing their policies. Reality hits when a customer becomes a patient. The health insurance industry grew by 37 per cent between 2002 and 2008 and the business was worth Rs 5,125 crore in 2008. 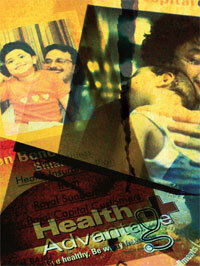 Industry insiders said the insurance sector has the potential to become a Rs 25,000 crore industry by 2012. The sector currently comprises more than 30 private insurance companies and four public insurance companies. The growth rate of private companies, in terms of premium collected, is more than public health insurance companies (see graphs). For 2007-08 and 2008-09, the increase in premium collected by 12 major private insurance providers in the country was 23 per cent. The four public sector companies registered a premium growth of about 20 per cent for the same period. When it comes to profits, private companies dont want to reveal the figures. According to media reports in early 2009, Star Health Insurance, a private health insurance company, hoped to earn a profit of Rs 6 crore for 2008-09. There are different views on this. It is too early to judge whether private insurance companies have decreased the cost of healthcare because the reach of insurance is still low, said Shobha Mishra Ghosh, director, ficci. 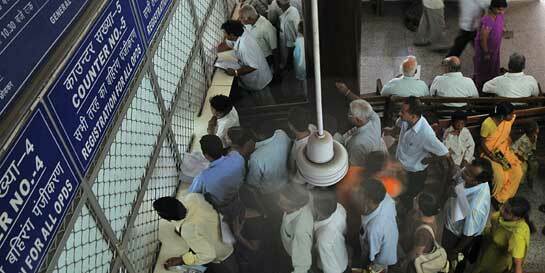 At present, health insurance covers about 3 per cent of Indias population. Umesh Kandpal of Max Healthcare said insurance had lowered peoples expenditure on health from 90 per cent to 78-80 per cent in the past five years. This figure though is just for Max Healthcare. There is no data to prove whether health insurance has decreased the cost of healthcare as private companies do not reveal data, said Amar Jesani, expert on ethics and health systems of the non-profit Anusandhan Trust in Mumbai. We have to go by the US data where private insurance has increased the cost of healthcare, he added. In India, Insurance in the health sector was introduced because the public healthcare system did not have sufficient funds and hence, was unable to meet the healthcare needs of the country. Lack of doctors and medicines have always been common problems in public healthcare facilities. A 2007 report by McKinsey, management consultants in the US, estimated that people would spend around 60-65 per cent of the total health expenditure on their own at private healthcare facilities. Under the 11th Five Year Plan, the amount of money spent was less than 1 per cent of the countrys gdp. Since health is a state subject, every state budgets for healthcare separately. But there is never enough because when the Centre increases its allocation, the state conveniently reduces its own budget. For example, the Centres approved outlay for health for Bihar went up from Rs 7,988 crore in 2004-05 to Rs 11,305 crore in 2006-07; Bihar reduced its own budget from Rs 141 crore to Rs 137 crore for the same period. 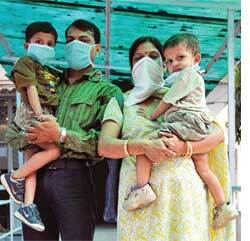 Such problems in public healthcare made way for private health players. But they could not make profits because people could not afford it. This paved the entry for insurance, with the idea of creating a pool of money where the healthy could subsidize the care for the sick. In India, insurance started with the Employment State Guarantee Scheme in 1948. The scheme covered healthcare and insured people against loss of wage due to illness. Then, more than 100 private Indian companies entered the market. In 1972, the insurance industry was nationalized and the existing insurance companies were brought under the General Insurance Corporation. Four companies provided health insurance. Post liberalization, the Insurance Regulatory and Development Act (irda) was passed in December 1999, which allowed foreign insurance companies to collaborate with private companies in India. But this collaboration did not come easy. The irda was passed after much debate in Parliament. The Left parties were opposed to opening up the sector to private players; the Congress supported it, and bjp supported just the entry of Indian private players. Employees of insurance companies demonstrated that the bill was against the interests of the country. Ajoy Chakraborty of cpi(m) called it an infringement on the economic sovereignty of the country in a debate in the Lok Sabha in November 1999. Chakraborty suggested that the proposed bill should be referred to a select committee for reconsideration, and pointed out that the public insurance companies were more competent and efficient than US multinationals. Despite the opposition, irda was passed. And now, most private companies are collaborations. icici Lombard General Insurance Company Ltd is a joint venture between icici Bank Limited and Fairfax Financial Holdings Ltd in Canada; Bajaj Allianz is a collaboration between Allianz SE of Germany and Bajaj Finserv Limited; and iffco Tokyo is a joint venture between the Indian Farmers Fertilizer Co-operative and Tokyo Marine and Nichido Fire Group, the largest insurance group in Japan. Such companies and the nature of insurance business, including public companies, are changing the nature of treatment. Doctors abuse the insured status of the patient by performing unnecessary surgeries and investigations, said N Devadasan of the Institute of Public Health in Bengaluru. Hysterectomy (surgery to remove the uterus) for women under 35 is common. Normally, it is recommended only in special cases. People end up staying in the hospital 24 hours for something that can be done in day care to meet the criteria of an insurance policy, said Malay Nandy, consultant oncologist in Delhi. 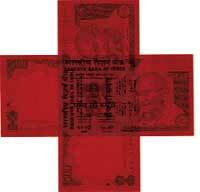 It is a waste because a bed could be used by a genuine patient, Nandy added. Then, there are third party administrators, or tpas, to deal with. The tpas, meant to facilitate cashless treatment and act as middlemen between hospital and the insurance company for claims, were inducted into the system in the mid-1980s.Nandy added that the tpas usually make it difficult for the hospitals by finding ways of not reimbursing claims. The tpas send unnecessary queries. Doctors have to answer them and run after tpas, Nandy added. The tpas, say the insurance companies, delay payment; the insurance companies say they have paid the tpa, said T S Kuckrejja, executive vice president of amri hospital in Kolkata. When a patient is admitted to the hospital, a doctor prepares the initial report according to the medical history and the patients immediate complaints. Doctors send this report to the tpa. As treatment progresses, there is every chance that the diagnosis might change and the final report is different from the initial one, said Kuckrejja. If the tpa refuses claim saying there is a difference between the two reports, what can be done? he asked. The fine print of most policies mention that any difference between the initial report and the discharge summary would result in the cancellation of the claim. Kandpal of Max Healthcare added that most hospitals had problems with tpas on administrative lines, such as delayed authorization and unjustified deductions. For a small hospital, the cost of getting the money back from an insurance company is high. We have had to hire a person only to do this work, said Nimrat Gujral, director administration of inscol, a hospital in Chandigarh.